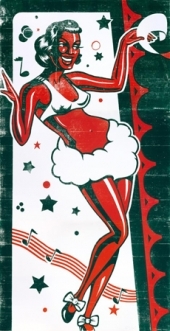 Hatch has been making entertainment posters, or "show posters", in their letterpress print shop in Nashville, Tennessee, since 1879. They maintain a working museum that strives to preserve the history of the art of letterpress with an archive that includes type and woodblocks, posters, and documents. Our growing collection is distinctive and eye catching.